ALBUQUERQUE, N.M. — Joleen Valencia resisted the temptation to count her days to freedom, knowing that tracking the time only worsened the anxiety of serving a two-year drug-trafficking sentence inside a New Mexico prison. Numerous states have histories of holding inmates past their expected parole dates, with some responding to the issue with reforms. After her sentence started in the spring of 2015, she wanted nothing more than to return to her family’s home amid mesas on a reservation north of Albuquerque and stay clean after recovering from a heroin addiction. Especially after her mother died and granddaughter had been born. But rather than agonize, she kept busy, working daily dishwashing shifts to earn 10 cents an hour and eventually enough “good time” for a new parole date: July 13, 2016. “They would tell you, don’t count your days, because it’s going to make it hard,” said Valencia, 50. But she couldn’t resist as her parole date neared, making it all the more frustrating when the day came and went. An expensive and long-running problem, it routinely has resulted in corrections officials holding inmates for all or part of their parole terms — often because they are unable to find or afford suitable housing outside prison. Sometimes, missing paperwork or administrative backlogs also can rob them of the freedom they’ve earned. The problem of in-house parole isn’t unique to New Mexico. Numerous states have histories of holding inmates past their expected parole dates, with some responding to the issue with reforms. But in New Mexico, the problem persists despite efforts to address it. In an email, Mahesh Sita, a corrections spokesman, said reducing the number of release-eligible inmates — the department’s term for those on in-house parole — is a priority, despite figures showing a struggle to overcome the problem. A review of state data obtained through public records requests found there were 165 inmates on in-house parole at the start of the fiscal year beginning July 1, amounting to slightly more than the average monthly total since January 2014. Overall, an analysis of the data found the state spent an estimated $10.6 million to incarcerate the thousand inmates who found themselves in the most recent fiscal year on in-house parole — a status some on the list had for years. More than three years’ worth of state documents showed the primary driving factor of in-house parole has been a shortage of housing and resources for felons, who must arrange for a place to live as a condition of their release on parole. More than three years’ worth of state documents showed the primary driving factor of in-house parole has been a shortage of housing and resources for felons. Their limited options include trying to pursue a coveted spot often paid for by a charity or the state at a residential treatment program. They can also apply for a bed at one of the state’s privately operated halfway houses, which frequently require security deposits or other payment up front. 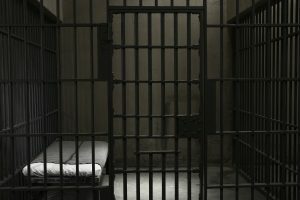 An average of three-dozen inmates approved for release by the parole board each month over a three-year period ending in mid-2017 remained incarcerated because they were awaiting a bed in a residential treatment program or halfway house. Women, who comprised just more than 10 percent of the prison population, faced tougher odds in winning a timely release, with officials holding them on in-house parole at two and a half times the rate of men in the recent fiscal year. Officials attributed this, in part, to a surge in women’s incarceration rates overall and fewer community-based housing options for them as they prepare to re-enter society. The Corrections Department in the past has acknowledged this can pose a public safety problem. “Simply put, it is not in the interest of public safety,” the department said in a 2016 blog for lawmakers. Numerous inmates, like Valencia, saw their release dates come and go, often because prison caseworkers and parole officers, who are woefully understaffed, failed to prepare their parole plans for the parole board to review or fell behind in doing so. Long-lasting solutions have been elusive, though the state has invested in more housing for parolees. Recently, for example, the Corrections Department contracted with charities to add more beds for inmates in re-entry programs, adding 30 for women in Los Lunas, south of Albuquerque. The Corrections Department also seemed to become more diligent about penalizing private prison corporations, which records show housed roughly half of New Mexico’s 7,000 inmates last year. In July 2016, documents exchanged between CoreCivic and the state showed the multi-billion dollar corporation was fined $19,150 for keeping 15 women, including Valencia, inside the Northwestern New Mexico Correctional Facility beyond their release date. Valencia’s last day as a prisoner finally came Oct. 17, 2016. She’s now serving her final months of parole in Albuquerque, while preparing to spend more time again with her family at San Felipe Pueblo once her parole ends. Valencia for years felt too ashamed of her addiction, and the depths she would go for it, to face her family and own children. Now, she hopes the chance to be more involved in their lives again will help her overcome the grief and frustration that’s lingered since prison and her time on in-house parole. “It’s messed me up but it’s still not going to take me down that road of destructive behavior,” she said. This report is part of the CJ Project, an initiative to broaden the news coverage of criminal justice issues affecting New Mexico’s diverse communities, created by the Asian American Journalists Association with funding from the W.K. Kellogg Foundation.